With every year that passes, technology keeps getting more advanced. This photo was created with the help of a Mavic Pro drone that was set to the “point of interest” mode. This mode allows the drone to move around the subject with a fixed radius so that the aerial route taken is perfect for long exposure shots. At first glance, it kind of looks like a UFO hovering around the tree. 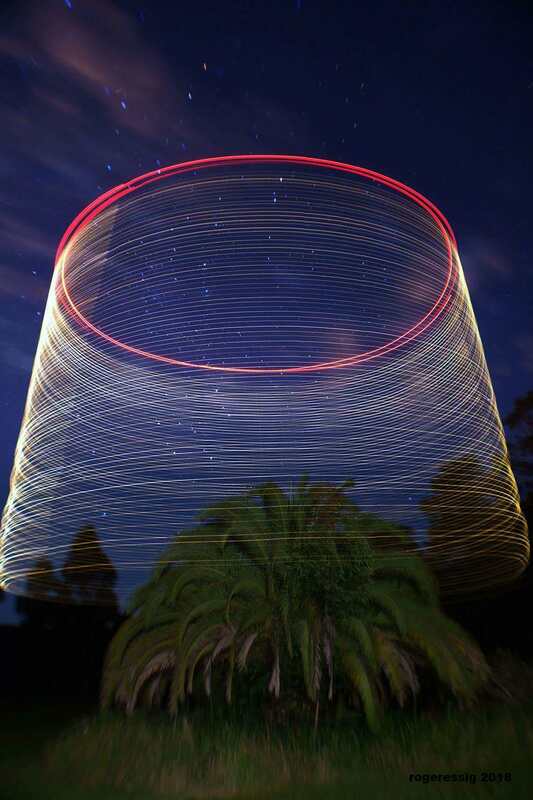 With the addition of 80 or so LEDs that hung at a height of 26-feet, the camera was set to 30-second exposures that allowed the drone to follow a circular path around the tree while the camera captured beautiful light trails.